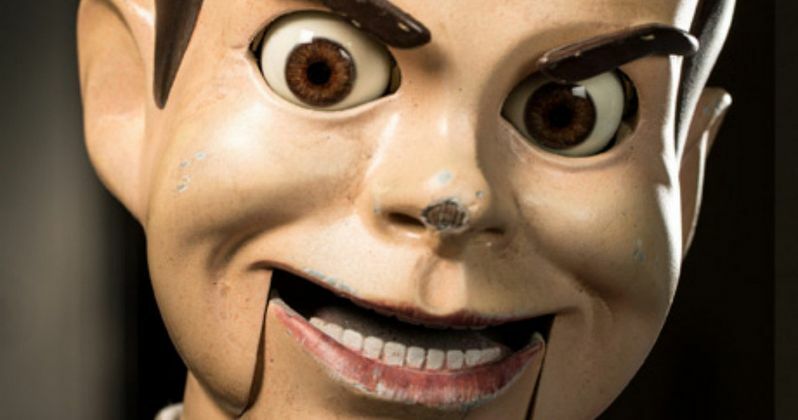 Sony Pictures and Goosebumps have launched a new Create a Meme contest for the upcoming adaptation, which includes new images of the film's various creatures. One lucky winner will get to go on a video call with Goosebumps author R.L. Stine, with the second place winner taking home a Goosebumps book collection. Upset about moving from a big city to a small town, teenager Zach Cooper (Dylan Minnette) finds a silver lining when he meets the beautiful girl, Hannah (Odeya Rush), living right next door. But every silver lining has a cloud, and Zach's comes when he learns that Hannah has a mysterious dad who is revealed to be R. L. Stine (Jack Black), the author of the bestselling Goosebumps series. It turns out that there is a reason why Stine is so strange... he is a prisoner of his own imagination - the monsters that his books made famous are real, and Stine protects his readers by keeping them locked up in their books. When Zach unintentionally unleashes the monsters from their manuscripts and they begin to terrorize the town, it's suddenly up to Stine, Zach, and Hannah to get all of them back in the books where they belong. Check out the photos below, and CLICK HERE to enter the contest.